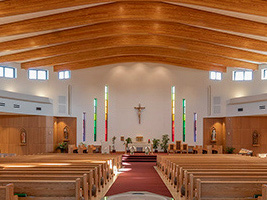 MASS TIMES - St. Paul Roman Catholic Parish - Richmond, B.C. Please note that weekday Mass times are different on public holidays. Refer to the bulletin for Mass times, it can be found on the Parish Bulletin page.